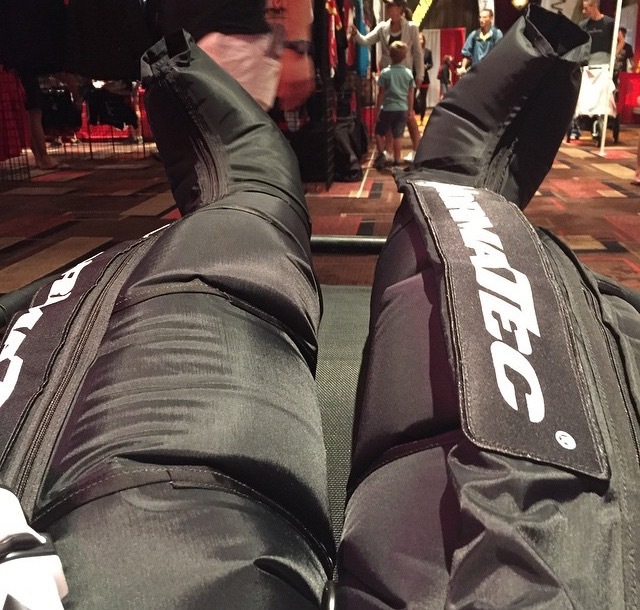 If there is one product I fell in love with the minute I finished the recovery cycle, it’s NormaTec boots. These recovery boots are like a massage but strictly for your legs. After a race, I immediately get in them (sometimes fall asleep because they feel so wonderful) and my legs feel refreshed and relaxed. The best part, is that it helps me get back into training immediately and helps with the recovery time. The boots go through a 3-step process called Sequential Pulse Technology throughout every zone of the boot. The pulsing, gradients and distal release is what helps speed up the body’s recovery process by squeezing the toxins out of the legs using dynamic compression that holds the pressure in each zone. It also keeps the body’s fluids from being forced down toward the feet. Thanks to the process, it deliver maximum pressure to the entire leg and then releasing the pressure once it is no longer needed. How do you know its working? You can feel your pulse in your legs and then once you are done, your legs feel incredibly lighter. By using this system for only 20 minutes, you can speed up your recovery time. 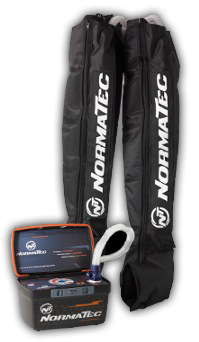 NormaTec Recovery Boots are a bit pricey and retail for $1750, they are on sale for $1595 right now and offer discounts throughout the year as they are doing now. You can also use code CHAC15 for $100 off. These boots are very helpful especially immediately after a race to help with recovery.